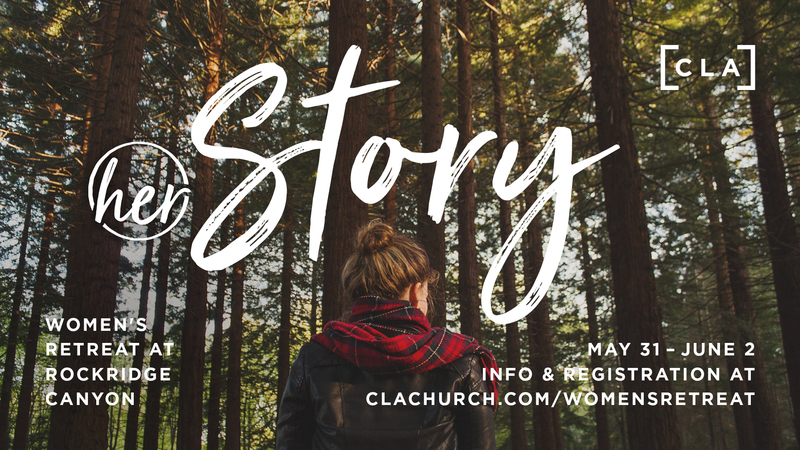 We are so excited to invite you to be part of our 2019 Women’s retreat “HER STORY” at Rockridge Canyon Retreat and Conference Centre in Princeton, BC from May 31st – June 2nd. If you are looking for a weekend away in a beautiful place, to build friendships, spend time in prayer, enjoy outdoor activities, and grow deeper in your walk with God, then this is a weekend you will not want to miss. It's a new season in women's ministry at CLA and I am so excited to introduce you to HER. Love each other, encourage each other and build each other up. Help each other discover our God given talents, gifts and passions. Pursue our walk with God and develop our spiritual growth. Reach out to serve, help and comfort those around us in whatever our sphere of influence may be. Celebrate God’s work in our lives whenever and where ever we can. There are so many ways for you to connect with the women at Christian Life Assembly. We provide large group gatherings on Wednesday mornings, "HER Night Out" - a service designed to equip you in your walk with God on the first Friday evening of every month, weekly Bible Studies, and several special events. We are committed to providing a variety of opportunities for women to grow deeper spiritually, and to be encouraged and connected with a community of women to walk with through every season of your life. We have many groups on MyCLA (our online community) where you can find out about upcoming events. Join our group below! Make sure to follow us on Facebook and Instagram for all the latest events, studies and updates. "Connect with HER" groups are six week classes that take place in homes and coffee shops throughout the Fraser Valley. 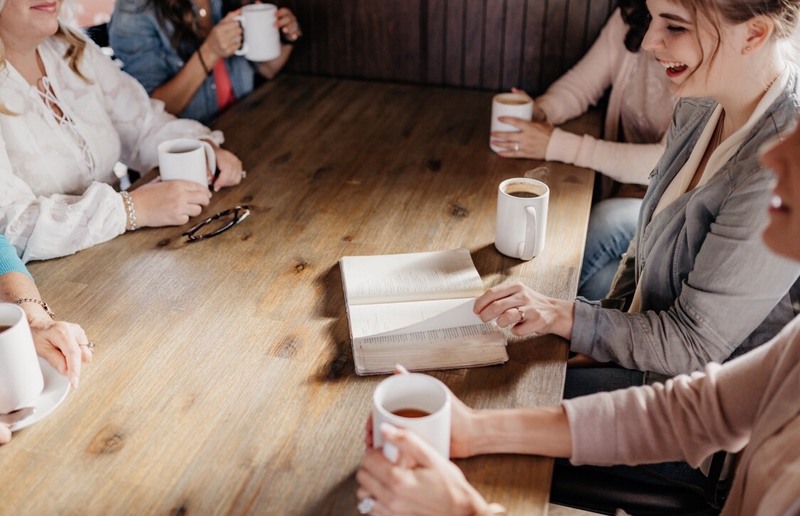 They are designed for women who would like to connect with other women in a smaller group setting for a time of community and growing deeper in your walk with God. We are currently looking for women who would be willing to host or facilitate classes beginning in mid February. In the meantime, if you have general questions about Connect with HER groups or want find out more information, email us! Join us over the next three weeks as we spend time as a whole group studying and learning from some of the most inspiring women in the Bible. Let’s learn from their stories and see how their lives that often endured heartache, grief, rejection and pain were lived with courage, hope and faith in their calling. You will come to see how their stories are not that much different than yours and mine. Most importantly, you will be encouraged to see how their stories played out in Gods big story. Ladies, it’s going to be a fantastic four weeks and we can’t wait for this time together:) This session is free of charge and we will be providing free childcare as well. Join us for coffee and snacks at 9:15, then a time of worship before we begin our study. We look so forward to seeing you there! Join us for this Propel six session series titled “Momentum” as we dive into conversation on reaching forward to all that God has for us. Enjoy an engaging video series led by Christine Caine, Lisa Harper and others and then join in the conversation in a group setting that helps and inspires you to become the leader and women God has created you to be. More information on the series can be found at Propelwomen.org. Workbooks will be available for purchase. Are you looking for Events, Sermons or CLA News?